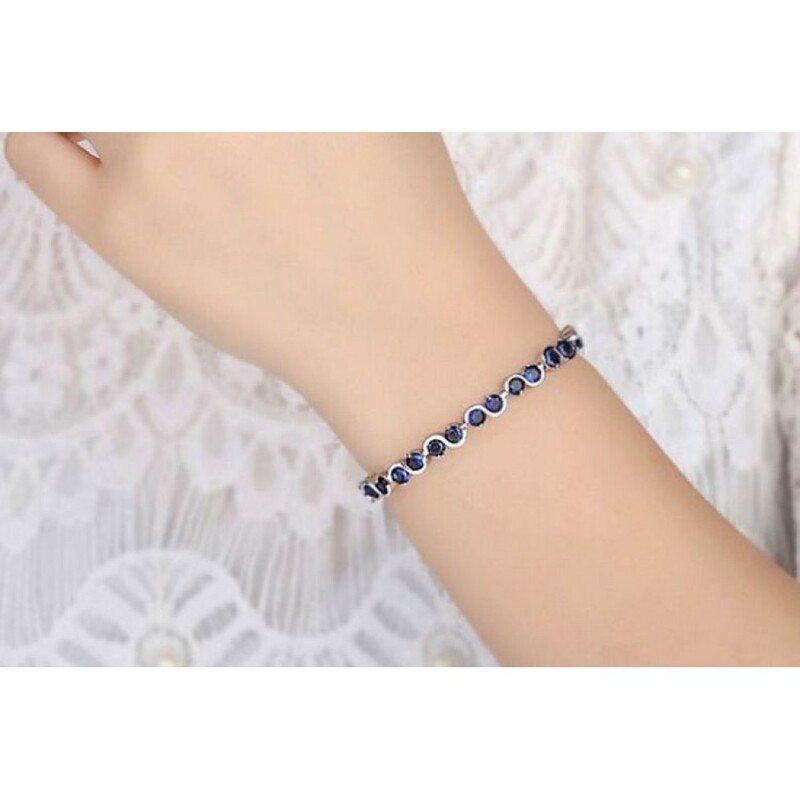 Beautifully crafted and styled bracelet, fit for any occasion or purpose. Truly unique to stand out and perfect for any outfit. 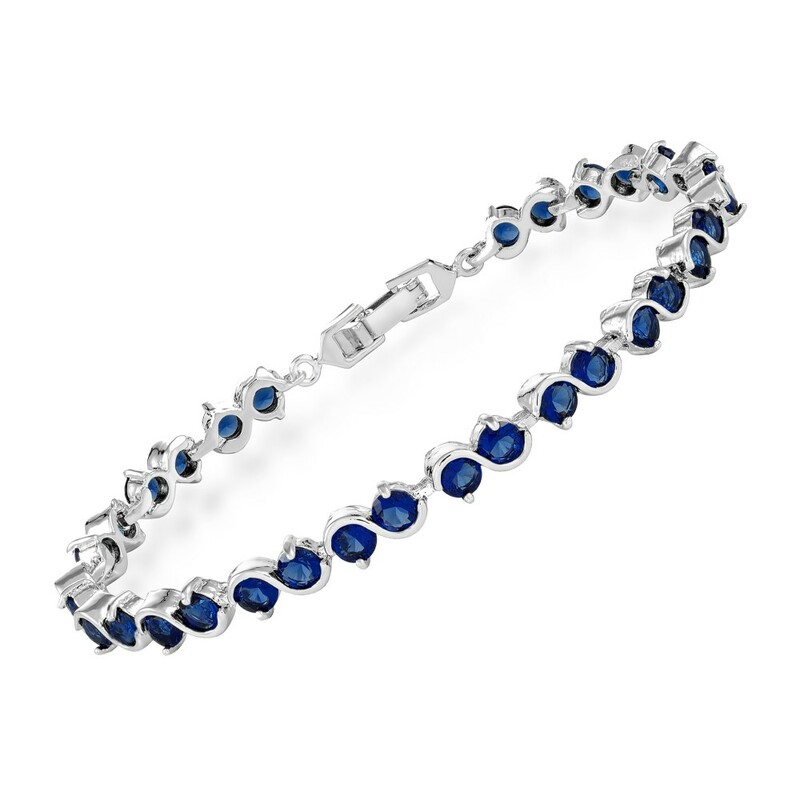 Set with 32 blue simulated sapphire crystals which makes this bracelet look and feel elegant and classy. Made from high-quality materials to ensure that the bracelet is safe and durable for long-lasting use. This piece comes with a luxury velvet pouch.